Step into the library at Valley Manor, and you’ll see why it’s Lucretia McClure’s pride and joy. It’s filled with more than 3,000 volumes she’s curated and catalogued herself, and features a stunning wooden boardroom table and ten leather chairs from the Kodak office of George Eastman—gifts from the Episcopal Diocese of Rochester when the new library opened in May 2017. 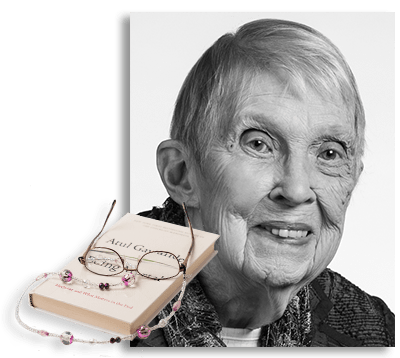 Talk with Mrs. McClure for even a few minutes, and you’ll understand why she’s so passionate about reading, writing and learning, and why Valley Manor’s library is named for her. 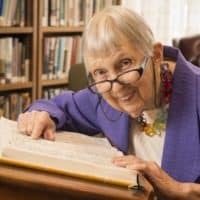 Known for her colorful eyeglass chains, she’s been the resident librarian since 2012, and it’s part of her daily routine. 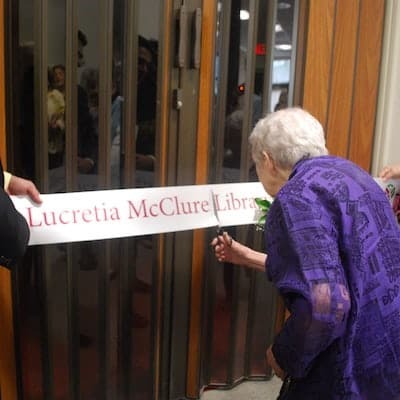 True to her word, she retired at age 86 after 50 years as the Medical Librarian and Assistant Professor of Medical Bibliography with the Edward G. Miner Library at the University of Rochester Medical Center (URMC). She also served as the Special Assistant to the Director at Harvard’s Countway Library of Medicine from 1996 to 2011. 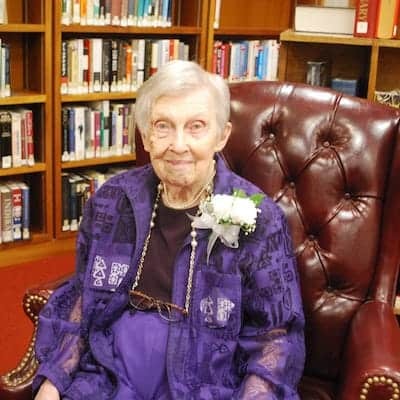 Mrs. McClure spent just a year not working before she came to Valley Manor—which just happened to need a new librarian—and spends her days reading and researching books to determine which ones Valley Manor should buy for their collection. Everyone can request books they’d like to read, but she does due diligence in spending their limited budget. “Once you read a really good book, you can pick out the lesser books,” she says. She also writes a monthly column about books for her fellow residents.